With blackened, cast brass forms soldered to a brass post and plate, the sculptural Tallomet coat hooks are a study in form and contrast. 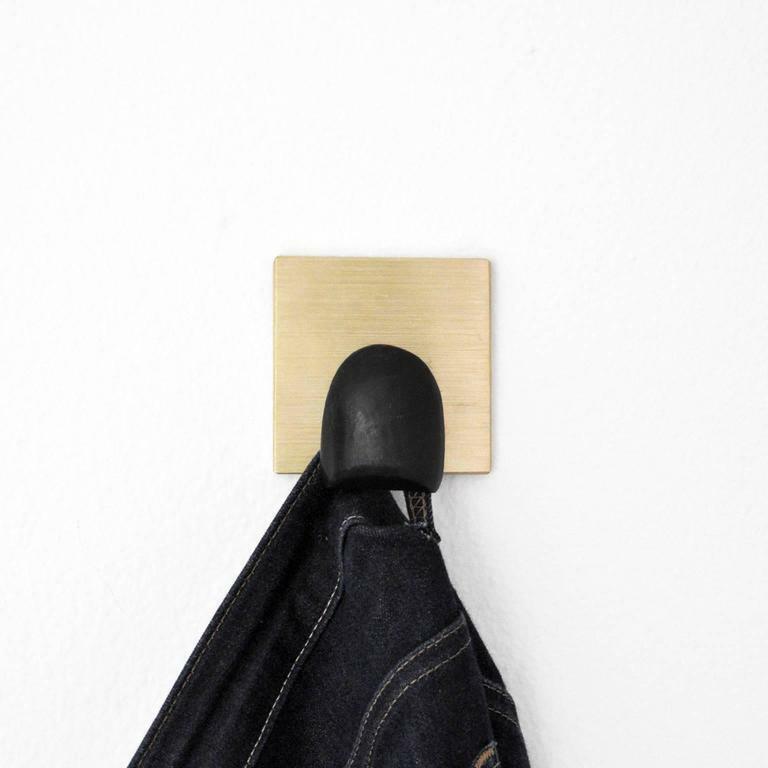 Finished by hand in Portland, Oregon, the hooks feature hidden mounting hardware and are intended to be composed on a wall as sculptural elements. Tallomet coat hooks are usually sold in sets of five. Email to purchase individually. 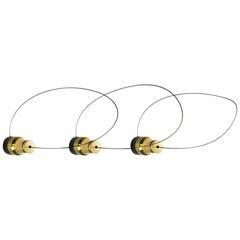 Dimensions: 3" x 3" x 2" 2.5" x 2" x 2" 1" x 3.75" x 2" 1.5" x 3.5" x 2" 3.5" x 1.5" x 2" Installation: Tallomet hooks attach to the wall using a hidden back mounted #8 screw. Each set is shipped with installation instructions for drywall or plaster as well as installation hardware. Hooks hold up to 40lbs weight. Available with matte or satin finish. 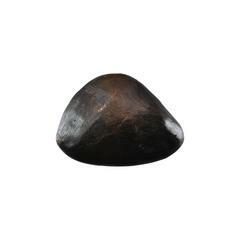 Lead time: 7-8 weeks. All work by ParkerWorks is intended to bear the traces of its hand carving. Accordingly, the finish on each piece is different from the next and should not be considered a flaw. 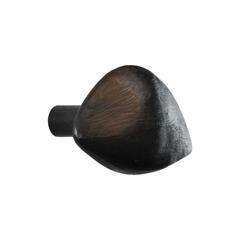 The sculptural Dickon drawer pull is cast from solid brass, finished by hand, blackened and lacquered in Portland, Oregon. Each is slightly different from the next. Thread: 8-32. 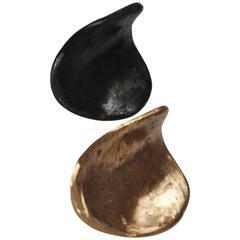 The sculptural Erwan Drawer Pull is cast from solid brass or bronze, hand carved, and blackened before being lacquered. Set of six brass hooks in brass coat rack. You can buy two hooks or four hooks or six hooks. 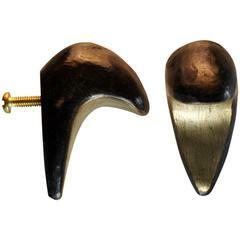 This set of 9 coat hooks is made of Bakelite with solid brass details. It is marked with KM AUSTRIA. Cast brass made in Austria, circa 1900-1910. Up to 3 pieces available price per piece. 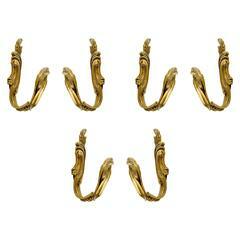 A set of six extremely rare pretty large Art Nouveau wall hooks made of solid brass. Original from the Art Nouveau city of Darmstadt. K0306 stylish bentwood coat hooks in original condition throughout, circa 1940. Measures: H 14" W 30.5" D 12" projection from the wall. Measures: H 36cm, W 78cm, D 30cm.